Tonya N. Davis, Ph.D., is an Associate Professor of Educational Psychology, specializing in Special Education and Applied Behavior Analysis. Dr. Davis received her Ph.D. in Special Education with a Specialization in Autism and Developmental Disabilities from the University of Texas at Austin and her B.S. in Special Education and M.S.Ed. in Educational Psychology from Baylor University. Dr. Davis is a Board Certified Behavior Analyst-Doctoral Level (BCBA-D). She currently serves as the Coordinator of the Special Education Undergraduate Program and the Applied Behavior Analysis Graduate Program. She is also the Director of the Baylor Clinic for Assessment, Research, and Education (CARE). Prior to joining the faculty, she was a special education teacher and in-home applied behavior analysis therapist. Dr. Davis’s research interests involve applied behavior analysis and developmental disabilities, such as autism. The primary focus of her research involves the treatment of severe challenging behavior among individuals with intellectual and developmental disabilities. Within this line of work, she conducts research on communication interventions and teaching strategies for children with autism and related disorders. Her applied research is predominantly conducted at Baylor CARE and in public schools. Her work, which she routinely presents at national meetings, has appear in such prestigious journals as Developmental Neurorehabilitiation, Behavioral Interventions, Behavior Analysis in Practice, Education and Training in Autism and Developmental Disabilities, and Research in Autism Spectrum Disorders. Dr. Davis currently serves on the Editorial Board of the Journal of Physical and Developmental Disabilities and Behavior Modification. 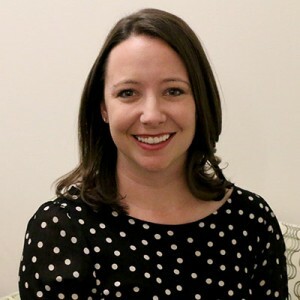 She currently teaches courses in the special education undergraduate teacher education program as well as courses in the master’s and doctoral applied behavior analysis specialization. In 2014, Dr. Davis was selected as a Baylor Fellow, and in 2015 she was nominated for Baylor's Cornelia Marschall Smith Professor of the Year Award.